A lovely painting by numbers set, with simple, clear pictures for your young child to complete. For ages 4+. 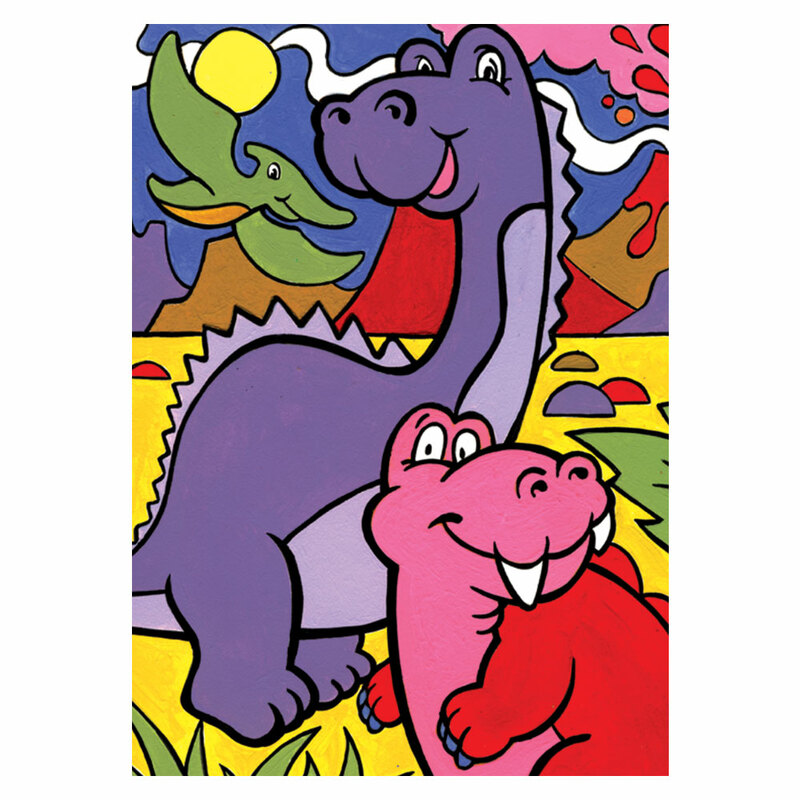 In the set you will receive the printed picture of dinosuars, the necessary paints, a brush and instructions. It's never too early an age to learn to be creative and learn numbers and colours, and even better when they can see what they have achieved on completion. These sets also make great gifts for birthdays, Christmas and Easter.